Wonderful house in an excellent location. This is a well maintained 4 bedroom, 2.5 Bathroom with a Den and a great backyard. It features a Pebble-Tec pool on a large lot. Plenty of room for the play area with a view fence. The downstairs is spacious from the formal living room to the great room with a breakfast bar and pantry. The fireplace is in the family room with surround sound perfect for entertaining. The Den is located downstairs off the family room. The second floor has four bedrooms with a large master suite with two sinks and dual vanities. 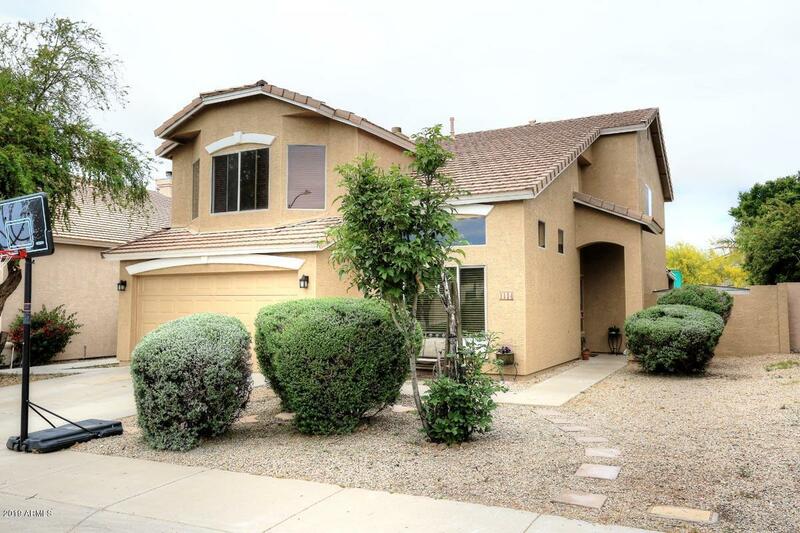 This house is conveniently located in a desirable neighborhood with great access to the 101, 51 and I-17.